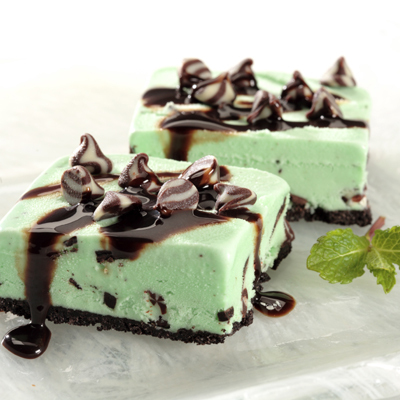 If you love chocolate mint ice cream, I just came across ice cream bar recipe on Nestlefamily.com. It has an Oreo crust and then chocolate chip topping. Yum! !